Walden (also known as Life in the Woods) by Henry David Thoreau is one of the best-known non-fiction books written by an American. Published in 1854, it details Thoreau's life for two years and two months in second-growth forest around the shores of Walden Pond, not far from his friends and family in Concord, Massachusetts. Walden was written so that the stay appears to be a year, with expressed seasonal divisions. Thoreau called it an experiment in simple living. 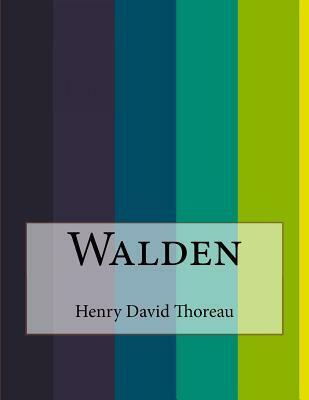 Walden is neither a novel nor a true autobiography, but a social critique of the Western World, with each chapter heralding some aspect of humanity that needed to be either renounced or praised. The work is part personal declaration of independence, social experiment, voyage of spiritual discovery, and manual for self reliance.Notice: This Book is published by Historical Books Limited (www.publicdomain.org.uk) as a Public Domain Book, if you have any inquiries, requests or need any help you can just send an email to publications@publicdomain.org.uk This book is found as a public domain and free book based on various online catalogs, if you think there are any problems regard copyright issues please contact us immediately via DMCA@publicdomain.org.uk.